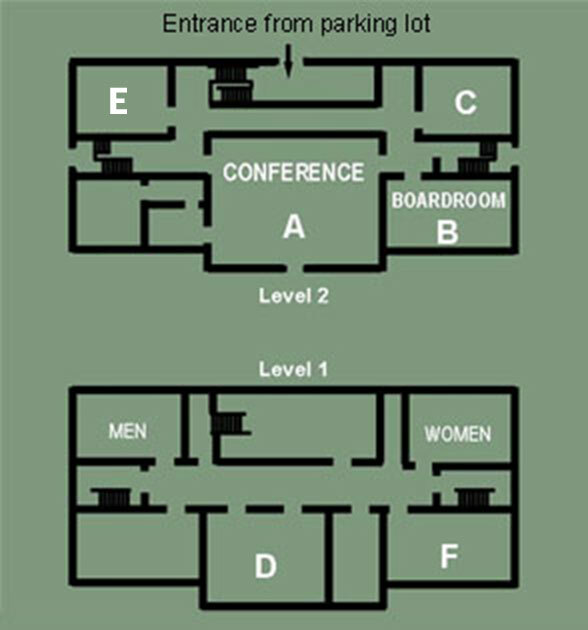 Conference Center - Room A - Pineland Farms, Inc.
Room A is 1,120 square feet with mahogany wainscoting and trim. The 40′ x 18′ room has teleconferencing and internet capabilities with wireless options. Room A is airy with large windows and plenty of natural light. Maximum capacity is 60 people seated with tables, or 100 people theatre style. 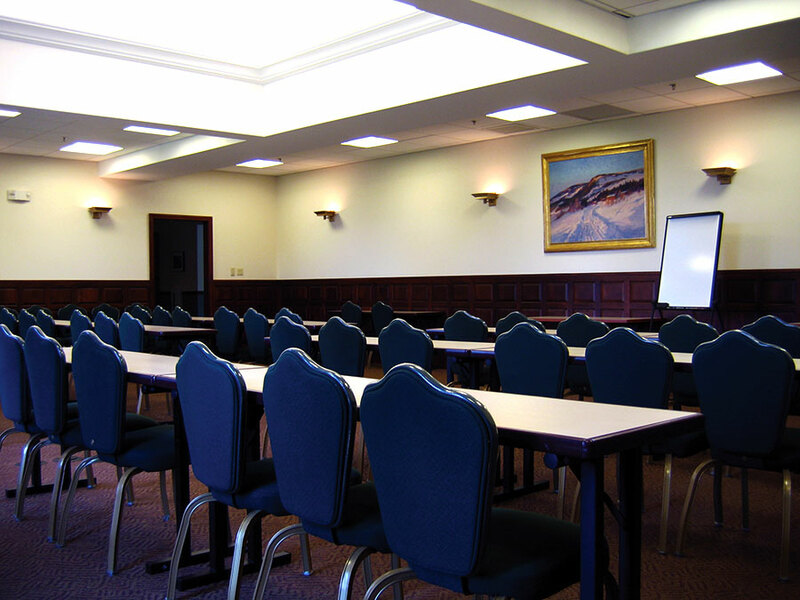 The room is perfect for a retreat, corporate meeting, lecture or other mid-size event. Often, our clients choose to set half of the space boardroom style, and the other half with round tables for meals and breaks.